A milestone will have to be put on hold for at least one more day. Long-time Elizabethton manager and former Twins catcher Ray Smith currently stands at 999 career wins in the Appy League. Unfortunately rain postponed his team’s game on Wednesday. Maybe Thursday, though the scheduled doubleheader is questionable if you look at the forecast. But there was still a lot of action in the Twins minor leagues on Wednesday. Tyler Austin hit another homer. Griffin Jax was really good again too. Byron Buxton was placed on the Red Wings disabled list with a left wrist strain. Rochester added RHP Chase De Jong. He will start on Thursday afternoon. 1B/3B Ryan Costello came to the Twins from the Mariners where he had been playing at Clinton under former Twins utility man Denny Hocking. He reported to the Miracle, so he received a promotion with his new organization. 1B/DH Robby Rinn was promoted from Cedar Rapids to Ft. Myers. 1B/C Ben Rodriguez was sent down to Cedar Rapids because C David Banuelos went on the Kernels DL with a concussion. IF Victor Tademo returned to the GCL Twins from the Miracle. Zack Littell put together a strong start and was helped by the bullpen and the bats to earn his third Red Wings win. Littell gave up two runs on five hits and two walks over six innings. He struck out three. Ryne Harper came on and struck out five batters over two perfect innings. Alan Busenitz got the ninth inning and struck out two batters to end the game. Jon Kemmer went 2-for-4 with his fourth double and first triple since joining the Red Wings. He drove in three runs. Jordan Pacheco went 2-for-4 with his third double. Tyler Austin continued to hurt the team that he played for just two days ago. The former Yankees player went 2-for-4 with his second homer in as many games, his eighth International League homer of the year. And yes, it was a long one again. Rains in Tennessee caused Tuesday’s doubleheader to be cancelled. Griffin Jax had another strong start. He began the game with six shutout innings. He gave up two runs in the seventh inning. In total, he gave up two runs on six hits and a walk. He struck out seven. Alex Robinson came on and was charged with two runs on two hits over 1 1/3 innings. He struck out two. Colton Davis got the final two outs to record his second save. Travis Blankenhorn got the Miracle off to a fast start. The first three batters for the team got on to load the bases, but the next two batters struck out. Blankenhorn picked them up in a big way, launching his tenth home run, a grand slam. Royce Lewis went 2-for-4 with a walk and his sixth Miracle double. Caleb Hamilton also went 2-for-4 and stole his fourth base. Taylor Grzelakowski had a single and walked twice. Ernie De La Trinidad went 2-for-2 with a walk and an RBI. That gives him six RBIs through his first four Miracle games. Tyler Watson started and went just one inning because he needed 36 pitches to complete it. He gave up three runs on one hit and four walks. He struck out one. Calvin Faucher struck out three over three no-hit innings. Derek Molina worked the next three innings. He gave up one run on two hits. He struck out five. Rickey Ramirez gave up a hit, walked one and struck out one in his inning. Ben Rodriguez returned to the Kernels due to the David Banuelos concussion. He hit his ninth and tenth home runs for the Kernels. Andrew Bechtold went 2-for-4. Trey Cabbage hit his 15th double. Rain also caused the postponement of this game. The teams will play a doubleheader on Thursday. Perhaps delaying for a day a huge milestone. With the next Elizabethton win, manager Ray Smith will reach the 1,000 win total. Down a run heading into the bottom of the ninth inning of this game resumed from Tuesday, the Twins put the ball in play enough to score two runs and get a walkoff win. Before the rains came on Tuesday,Tyler Benninghoff started. He gave up three runs on two hits and three walks over four innings. He struck out two. Then Erik Cha came on and struck out two in his inning. When the game resumed on Wednesday, Junior Navas took the mound. He gave up two runs on four hits over two innings. He struck out one. Steven Cruz gave up an unearned run on one hit and two walks in 1 1/3 innings. Denny Bentley came on for the final two outs. Former Twins pitcher Ryan O’Rourke came on for the bottom of the ninth inning, continuing his rehab. The inning started with an error on the third baseman. Then a bunt single down the third base line. And then another, to load the bases. There was a fourth grounder toward third base which scored the tying run despite the throw coming home. Finally, Tyler Webb came up and hit a sacrifice fly to end the game. Yeison Perez went 2-for-4 with his seventh double and two RBI. Erick Rivera and two hits and two RBI. Hunter Lee also had two hits. Charlie Mack went 1-for-3 with a walk. The regularly scheduled game ended up going an extra inning, but this time the Orioles won in a walkoff. 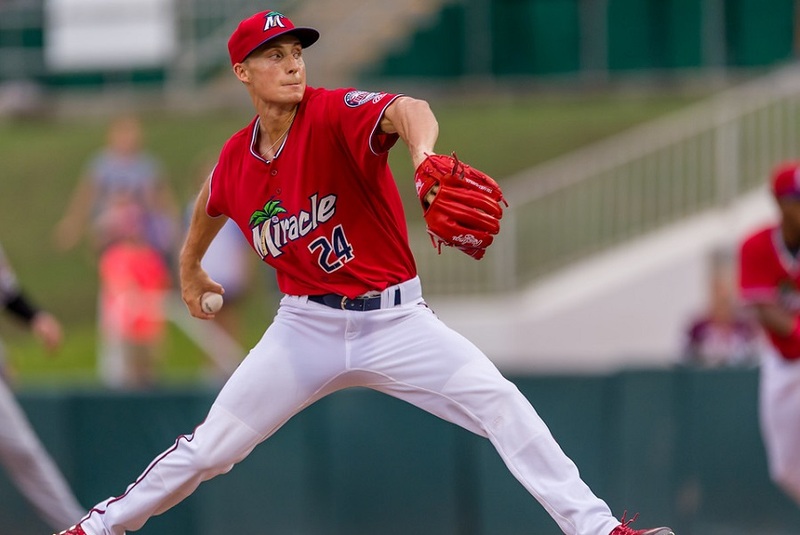 Donny Breek, the reigning Twins minor league pitcher of the month, gave up four runs (three earned) on five hits over four innings. He walked one, hit one and struck out five. JT Perez came on and struck out one in a 1-2-3 inning. Osiris German got the sixth inning and struck out two. Petru Balan pitched a scoreless seventh inning, but in the eighth frame, he gave up the tying run (who started the innings at second base) and one more run to take the loss. Alberoni Nunez got the Twins off to a big start. He hit a first-inning grand slam. Agustin Marte went 2-for-4 with his fourth double. Twins Daily Hitter of the Day: Ben Rodriguez, Cedar Rapids Kernels (2-4, 2 HR, 2 RBI). #6 - Trevor Larnach (Elizabethton) - Rained out. #7 - Brent Rooker (Chattanooga) - Rained out. #14 - Lewis Thorpe (Chattanooga) - Rained out. #17 - Lewin Diaz (Ft. Myers) - will have surgery on his wrist soon. Out for season. #20 - Luis Arraez (Chattanooga) - Rained out. Dozier with a HR dead center for Dodgers. I grew up a Dodgers fan and a Twins fan. So, Dozier is in my past and foreseeable future. Jax was dominant tonight. I listened to the game, very impressive. And, De La Trinidad is making a terrific start with Ft. Myers. He has a history of slugging at each successive level. I was guilty of being a big advocate of pushing Gordon up to MLB a month or so ago. But Yikes!Anyone watch these games? I know the company line is that he burns out late in the season, but has he been lost at the plate a la Sano....mechanics problems?Injury? Or maybe he's 22 in his first taste of AAA, and fighting a slump right now. AAA can be tough with all those former MLB veterans, AAAA types, who know how to work hitters. Gordon will need to adjust, and I have very little doubt that he will. now that jax is cleared to pitch full time he has to be a top 20 prospect no? Is Buxton made of glass? He seems to need more rehab time than he's been given... he's been injured only twice (feels like more) this season, but both times he's had setbacks. And also had migraines. He was in our midseason Top 40 last month. Expect this is another case of Buxton and the Twins trying to get him back on the field to soon.That happened with the toe, expect the wrist felt ok and wasn't. Did you know, Seth, that yesterday's runs were the first earned runs allowed in Navas' career.Including last year in the DSL, Navas had appeared in 14 games without allowing an earned run. We are frequently seeing the name Erick Rivera in these reports.This year's 14th round pick out of Puerto Rico looks to be a good pick, especially considering he is only 17 years old. I still hope Gordon will be given a full shot in Spring Training.By the end of the year he may have figured out the AAA challenge and hopefully use it to propel himself forward. I think you need to add #22 now that Diaz is down and out for the season. Looks like the second GCL game score is off in the writeup. I was curious to see whether they'd move Chase De Jong to relief, but it looks like he's scheduled to start. I don't suppose we've heard anything about their plans for him yet? He's 23 and put up a 2-1, 3.41 era, 60ip, 7 k/9, 0.9 bb/9 line in low A ball. There are some encouraging things going on for him but he's not remotely a better prospect than Zack Littell, our current #20 or his teammate Jordon Balzovic, our current #30. With Jax, we just have to be patient and let him throw some innings and see how it comes together. I was a big Watson supporter when the Twins got him at the deadline last year.I knew he likely wouldn't be a front end starter but I thought back-end for sure.I was one of the few that thought he had a chance and it looks like I was wrong.Not sure if he is hurt or what but he has taken huge steps backward this year.Here's to hoping he figure it out but things look grim for him right now. The new guys have been impressive so far.Really enjoying watching the infusion of new talent in the minor leagues. I mean, we've 'heard' that he'll start today, so there's no reason to think that he won't start, at least for the short term. As I mentioned in the "Grades" article comments. They're taking him, giving him two months in the organization and will then decide what's next. DFA,, or keep til spring training? I agree with a lot of this. He is pitching in High-A despite pitching much the last two years. He's intriguing. He's come a lot way even since he came in late in April. But I'm' comfortable with where we ranked him for now (somewhere in the 30s). I would also say that he's' got a chance to move into the Top 20 at some point soon. Yep and I wrong to say he was in low A when he was in high A. That's a plus for him. He's thrown 100 innings since we drafted him. I think it's best to just let him pitch and worry about rankings and such later. I was certainly wrong when I suggested a few months ago that he was a non-prospect. But he has a long way to go. Hopefully he makes it to the majors. He would still out as a 2ndLt coming from the academy. He may have enough time in now to be a 1stLt, but he definitely isn't a Captain yet. Will some of the newcomers be added to the top 20 rundown at some point? 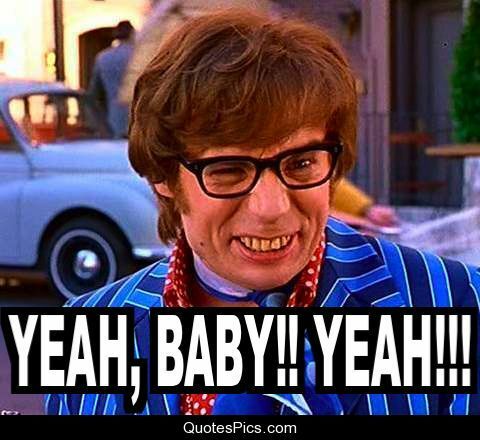 Austin Powers Twins, let's get him up here, and exit the big P train Morrion soon. If he was Army, I would say right around year 3(ish) he would be looking at his O-3 (CPT), but I can't really speak for the Chair Force's timeline for officers (can't imagine it's too much different though). With only 6 walks allowed in 60 innings, I hope someone can teach Jax some control soon. Over his last 5 starts he has averaged better than a strikeout per inning. I've thought for a while now Jax had a real chance to be a nice pitcher. Obviously the Twins thought the same thing. Age should not be held against him because his situation is so unique. Where he ranks at the end of this year may not fully reflect his potential. Mid 2019 projections may be more accurate.